There can be few Administrative Officers of the Colonial Service who achieve 'legend' status during their actual service. Many achieved a certain notoriety by becoming eccentric or otherwise exceptional, whether by dint of their qualities or their exploits. This piece is about one of them. I am greatly indebted to D R Rosevear, Chief Conservator of Forests (who served many years in Eastern Nigeria), for his exhaustive research and for writing up his findings in The Nigerian Field many years ago. 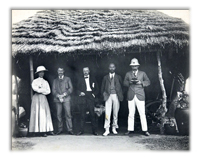 "Some brief account of this bizarre eccentric may therefore be welcome, together with a few of his goings-on - which, incidentally, must have proved as infuriating to some of his contemporaries as amusing to later generations"
But the nature of the Eastern Service in Nigeria lent itself to such people: the extraordinary aspect of his behaviour was that the perpetrator was reputedly never reprimanded to any effect, neither hauled over the coals and brought up before His Excellency the Governor, or Chief Secretary, for misbehaviour nor for bad conduct. To my knowledge no official action was recorded nor recognition afforded to Rusty's pranks: perhaps this would have lent a certain magic or acceptance to his ways. Officially, however, it was not acceptable. "You will be mounted on the finest horses in the world, with superb clothing and the richest accoutrements; you are everywhere respected; your society is courted; you are admired by the fair - followed by buxom widows and rich heiresses; your privileges are equal to two guineas a week..."
On 1 April (significant date!) 1890, Crawford Cockburn (pronounced 'Coburn') as officially he was known, was promoted Lieutenant. Having attained the School of Musketry Certificate, he was transferred to India, where he won the shield for the best Officer-at-Arms, India, at Rawalpindi. On 4th January 1896, he accepted transfer to the Niger Coast Protectorate Force and joined the Cross River Expedition, to a then largely unexplored area. He was called to serve on the Benin Expedition (1897), accorded the rank of Brevet-Major (i.e. the rank, but without the corresponding pay), a considerable promotion after only 7 years' service in the Army. He was Mentioned in Despatches and received the West African Medal with clasp. For health reasons a tour was normally limited to 1 year but Rusty served 14 months before going on leave. (Exceeding one's tour of 18 months in Southern Nigeria was not permitted without the Governor's permission, supported by a medical certificate. Having once done a tour of 23 months, I can understand the need for this Regulation.) He went on long leave (9 months), was promoted Captain on July 1st and resumed duty in January 1900. Strangely enough, on the 1 st April, he was appointed District Commissioner in the newly formed Southern Nigerian Protectorate Administration but his service was interrupted by the Boer War, where he was awarded the South African Medal, and in 1901/02 served on the important Aro and Akaju Expeditions. His previous experience qualified him for Administration in the colonies and he was appointed District Commissioner, Obubra Hill, late in 1902. He set about organizing and laying out this new Government Station with typical energy, verve and innovation. There is no doubt he did a good job, for the results of his work were still evident when I took over 60 years later. Well laid out, on a commanding rocky outcrop 300ft above the Cross, the place exuded an air of laid-back efficiency. In 1903, his best known prank took place. Stories of Rusty vary greatly in detail and setting but, Rosevear claims, he felt sympathy for Rusty when he himself actually had drinks and dinner on the after-deck of a Marine Department launch on a clear moonlit night at Obubra Beach. The story goes that Sir Walter Egerton decided to come on tour of this lowly, newly established Government Station. Rusty joined Sir Walter for a sundowner and dinner in the stern of the Marine Department launch. In the course of conversation. Sir Walter was outspoken in his criticism of Rusty's handling of a particular situation in the District which had led to disturbances. Rusty was immediately on his mettle. "If that is what you think of me. Sir, there is only one thing for me to do!" - and without further ado he leapt into the river. "Save him! Save him!" cried the Governor, rushing to the gunnel with the ADC. But there were no signs of the District Commissioner undergoing his last mortal struggles in the water. "Oh, my God! What shall we do?" said HE, recoiling from the side and wiping his brow. "Oh, my God! He was one of my best officers!". "Would you put that in writing, Sir?" called out a voice behind him, emanating from the dripping head of a bedraggled Rusty Buckle who had dived under the launch and was now clinging safely to the other side. A second episode commonly told must have concerned Bende, whither he was transferred from Obubra. There must have been half a dozen Departmental officers visiting every month, which was usual practice, but Rusty felt he would have little in common with these men, worthy though they might be, so determined to avoid contact and his normal obligations, as best he could. Outside Bende Station the access road forked, one branch leading "To the Resthouse - 1/4 Mile", which was wide, clean and devoid of encroaching bush, while the other branch, narrow, unkempt and uninviting, stated "To DC's House - 2 Miles". He rarely received visitors. 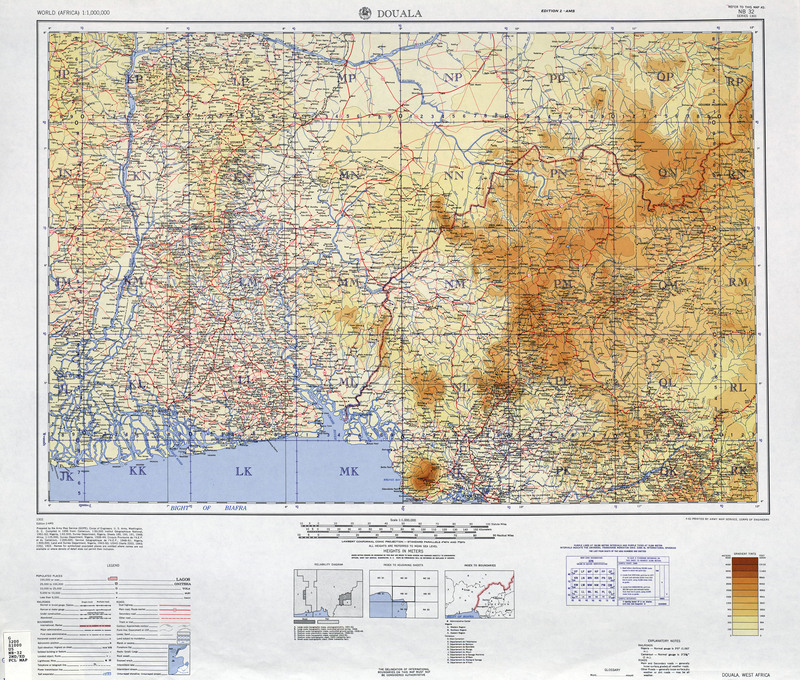 To appreciate the next anecdote, one must be aware that in those days, communications in Nigeria were extremely slow and it sometimes took officers months to reach their stations and, even with the telegraph, messages could take weeks before reaching their destinations, usually carried by couriers in rain soaked bags on their heads (or in the proverbial cleft stick!). When Rusty received a particularly intractable or difficult Treasury Query, he would put it into the 'Keep in View' basket for several weeks: then when his conscience, such as it was, pricked him, he would studiously dispatch it to the DC Bomu (or DC Sokoto), with the minute "This concerns you, I believe?" By the time a mystified DC Bomu (or Sokoto) had puzzled over the matter for a bit and finally got the Query back to Obubra, with the response "Nothing to do with this Station", five or six months would have elapsed. By this time Rusty would probably have gone on leave, out of reach of Treasury: if not, he would return it to the North with the laconic remark "Are you sure?" Another occasion shows Rusty in a slightly vindictive light. 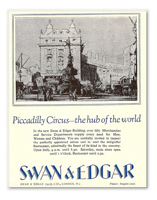 This took place in London, in Piccadilly Circus no less, where he arranged to meet a friend (some say it was his Resident), who wished to entertain him to luncheon. Rusty decided he would repay his friend for some perceived insult (or perhaps he was just bored). They met and Rusty asked him if he would just hold 3 long Hausa spears while he popped in to Swan and Edgars for a moment. He then disappeared into the emporium and escaped into Regent Street, never to be seen again, leaving an exasperated, embarrassed friend in the Circus, holding 3 Hausa spears and looking totally spare. In Edwardian days this would have proved a most embarrassing social blunder. It is, however, safe to say this victim never again importuned Rusty Buckle. 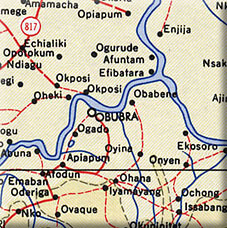 Erom Obubra days I have gleaned two more Rusty Buckle stories which, true or not, seemed typical of the man, one from Obubra and one from Bende. In the latter instance, we have the unfortunate Governor again, desirous of visiting Bende on tour of inspection. However, Rusty was averse to gubernatorial visitation and conspired to frustrate HE's plans. This occasion was in the midst of the rainy season. At the end to the access road, on the main Owerri-Onitsha road, he had a large sign placed, with the warning that there was "NO BRIDGE AT MILE 16". This would make the road into Bende impassable and thus forestall a Governor's visit. A few months later, the Resident, keen to learn the fate of the bridge, queried Rusty on its fate. "Whatever happened to the Mile 16 bridge. Buckle?" "Sir, there never was a bridge at Mile 16!" was the bland reply. Lastly, from Obubra we have another example of Rusty's antipathy to all Treasury activities. A new young Auditor arrived one weekend to audit the Government's financial status in Obubra, at which Rusty again showed how allergic he was to fiscal checks. He was due, he stated, to tour a distant part of the District over the weekend but he insisted that the Auditor, in order to complete his task, would have to be locked into the strongroom for the period until Monday evening. Practically speaking this meant the young Auditor would have to sleep, eat and do his work for up to 72 hours inside the locked space. The Headquarters was hot, humid and windless at the best of times but inside the strongroom the heat was torrid. The Auditor had no choice and early on Saturday Rusty locked him in to carry out his task. On Monday afternoon Rusty returned from tour: what state the Auditor was in is not recorded but he had done his duty nevertheless, and survived without serious damage but with knowledge of a job well done. History does not divulge, so far, any other exploits of this living legend: he was never married, according to the official records, but it is rumoured he transferred to Northern Nigeria before he retired. If anyone reading this saga has any further information perhaps they would like to share it with me?